Canadian mobile company BlackBerry has moved to strengthen its mobile device management offering with the acquisition of a major competitor in that space – Good Technology – for $425 million. 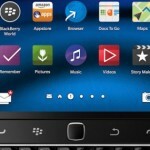 BlackBerry’s core offering, even when it was a successful smartphone player, was its secure mobile platform, which was the default for enterprise mobile email for some time. Good Technology also specialises in providing secure mobility to BlackBerry is both enhancing its offering and removing a major competitor. A few years ago, when it was clear it had lost the smartphone market to Apple and Google, BlackBerry restructured into four main business units: smartphones, BES (BlackBerry Enterprise Server – the mobile platform), BBM (the OTT messaging app) and QNX (its automotive platform). This was similar to the restructure of Nokia, but BlackBerry has yet to find a buyer for any of the four units.